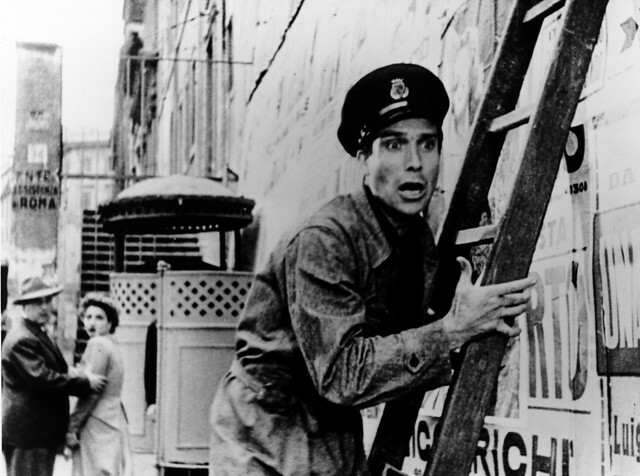 Ladri di Biciclette (Bicycle Thieves) is a 1948 Italian film directed by Vittorio De Sica. The film follows the story of a poor father searching post-World War II Rome for his stolen bicycle, without which he will lose the job which was to be the salvation of his young family. 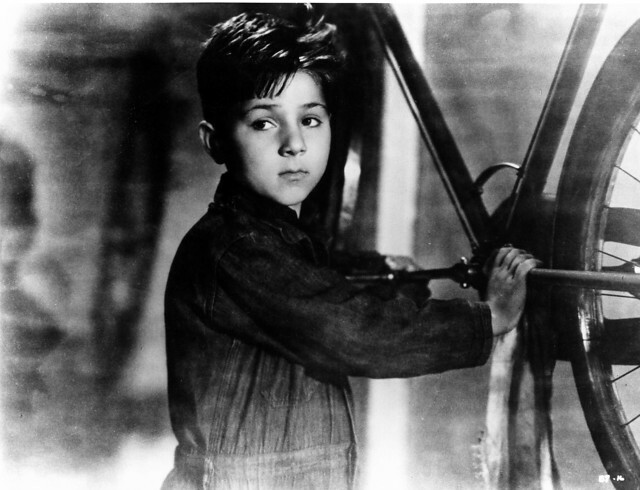 Adapted for the screen by Cesare Zavattini from a novel by Luigi Bartolini, and starring Lamberto Maggiorani as the desperate father and Enzo Staiola as his plucky young son, Ladri di Biciclette is widely regarded as a masterpiece of Italian neorealism.